LA Photo: McCourt Trial Day Three. It's A Tie. A blue tied Steve Susman. The red tie team for Jamie McCourt. 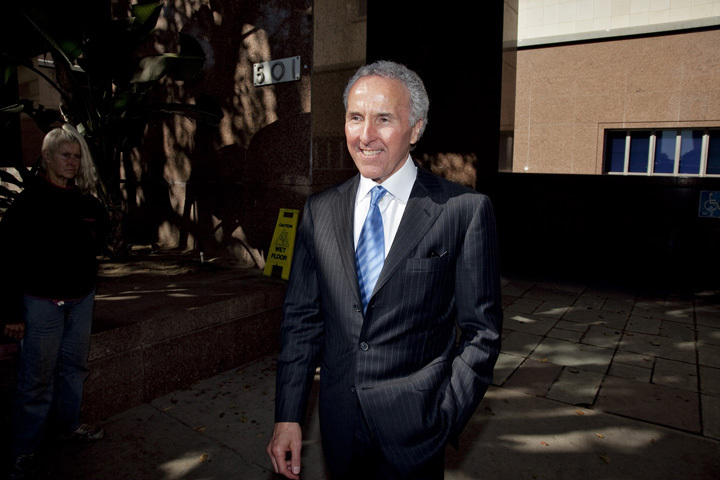 A cheery Frank McCourt left the L.A. Superior Court today after a long day testifying on the stand today in his divorce trial. Frank and his team of lawyers all wore Dodger blue ties and his female attorney wore a blue top today, as Jamie's lawyers all went with red ties again. One of Frank's lawyers handed out L.A. Dodger baseball caps to the media, yes I received one. 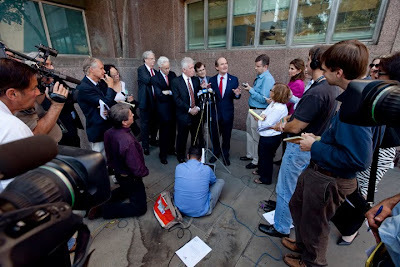 The post court press conference was very interesting. 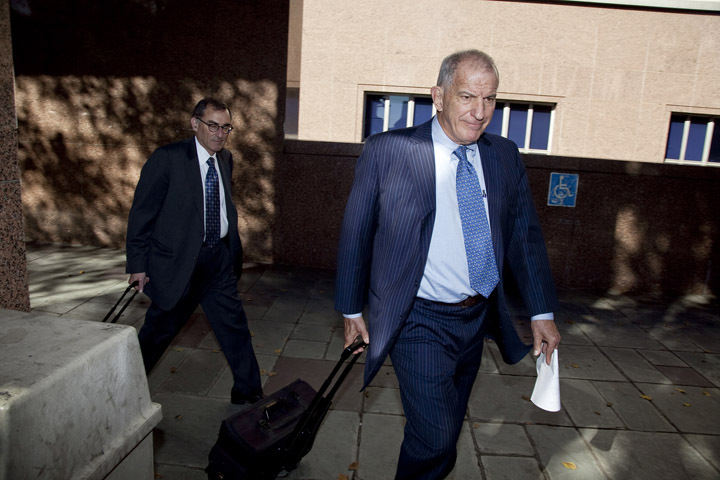 Attorney's on both sides went after each other with lots of sarcasm and verbal jabs. It's back on the stand for Frank on Thursday, were he will face a friendly cross examination.